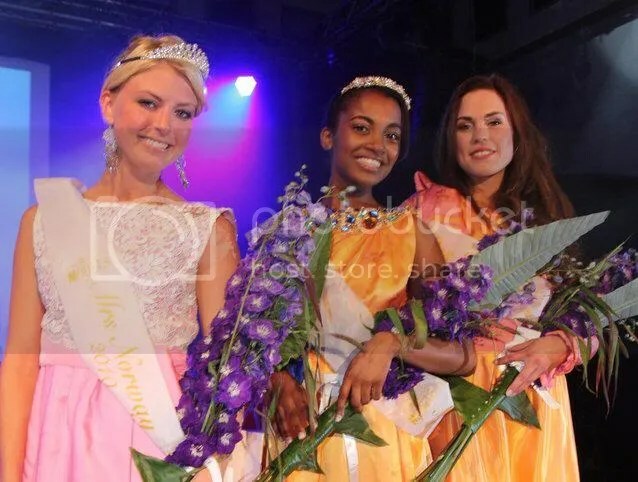 18 year old Iman Kerigo won the Miss Earth Norway pageant last night. She is 168 cm tall. 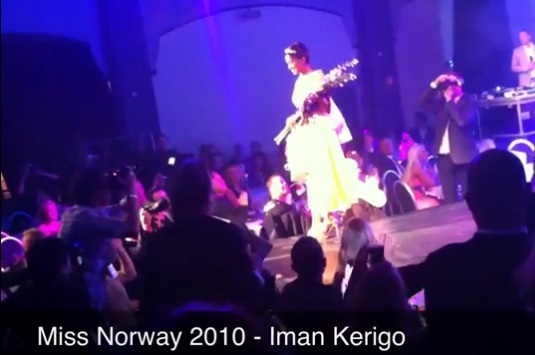 Her parents are from Kenya, but Iman was born and raised in Norway. 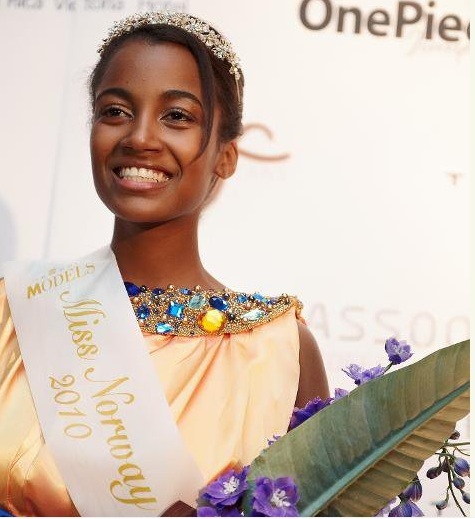 She’s the first black woman to represent Norway in Miss Earth. What are you doing on a daily basis? : 2 year Nannestad Vgs, working at Rema 1000, Vero Moda. Does a lot of Zumba & African dance / belly dance. Why have you signed up for Miss Norway? : It seems really exciting and fun. A good opportunity to let others see who you are and what your worth. opportunity to share what I have with everyone else, maybe even help others. Do you have any hobbies / talents? : Zumba / Dance:) What delights you most? : I get the opportunity to help those I can when I’m on holiday in Kenya (Africa). Friends and family. Who would you rather meet, and why? : The children of Michael Jackson, because they are the closest I come to Michael now. I hope that they will be like his father, a person who was strong, one who had so much talent and shared so much with the world. After weeks of fighting it out in the local market, mobile phone operators have shifted their price wars to international call tariffs, slashing the rates by more than 10 times. Leading the pack are Zain Kenya and yu, who in the past week have announced new international calling charges. Zain subscribers will pay Sh3 per minute to call USA, Canada, China and India — the home country of its owner Bharti Airtel — Sh20 for the East Africa, South Africa, UAE and Sh30 to the rest of the world. In its reply, yu has slashed the price by a further 51 cents to Sh2.49 per minute for calls to USA, China and Canada and its home country, India, while charging Sh12.50 for calls to the UK. Those calling East Africa, UAE, France, Holland and Germany will pay Sh17.50 per minute. But while this is a relief for Kenyans calling long distances like USA, Canada and China, subscribers calling the regional countries have nothing to celebrate. Against expectations, making a call to Tanzania or Uganda, who are part of the five-member state East Africa Common Market, will cost Sh17.50 from yu and Sh20 from Zain — almost six times more than a similar call to India or Canada. The high cost to reach regional countries is being attributed to the high interconnection fees charged by service providers in African countries. “The key driver for this is interconnection costs to these countries. Although they are a popular destination, the interconnection rates charged by these countries limit the rate we charge on these destinations,” says Mr Rene Meza, chief executive officer of Zain Kenya. Yet, in recent years, there have been efforts to make regional rates lower. For instance Zain Kenya, as part of Zain Africa, has the One Network service, which allows its users to travel to other countries within the network and still pay local rates, but that is on its network only. Similarly, in 2007, Safaricom partnered with Vodacom Tanzania, MTN and UTL in Uganda in the Kama Kawaida service that allows subscribers to top up with partner networks scratch cards, when travelling within the region and call home networks at local rates. Although such partnerships exist, making calls is still quite expensive. According to Atul Chaturvedi, country manager, Essar Telecom Kenya Ltd, the Sh17.49 for yu calls to East Africa is a much better negotiated interconnects rates. Appetite for furthering education is getting sharper by the day. A certificate course is not enough until one has in his folder a diploma trophy and those who start at university for a Bachelor’s enrol for a Master’s programme immediately the undergraduate results are released. This is tenable considering that the world is getting more competitive, what with the mad technology speed. What one was comfortably doing last month is today a different ball game. So, for the ambitious to be on top of things, they literally have to swot reading books while climbing the academic ladder. This is where the hard part of funding places the roadblock or a hurdle. Postgraduate education is expensive; adequate finances are needed to support course work and research. To get past the roadblock, many are today using information technology when looking for funds. This is what Erick (not his real name) did when he dreamt of a Master’s programme. Once he was on the Internet, he got working and eventually saw light at the end of the tunnel; or so, he thought. “I received an e-mail from a prominent university in the UK informing me that they had admitted me for a Master’s programme,” he said. “I was naturally overjoyed and soon started exchanging e-mails with someone who I thought was from the university, but who later turned out to be a con artist right here in Kenya”. It later turned out that the tricksters had created an intricate series of websites that had the names and logos of established institutions here in Kenya and abroad. Erick thought the communication was beyond reproach. When Erick was about to send the money, he consulted his programmer friend, who stopped him. On closer scrutiny of the websites and the addresses, they appeared phony. Erick’s case is not in isolation. Many are falling into the trap of online fraud, where criminals create a fake Web presence. With the proliferation of Internet awareness and use, many people are relying on the links for essential services. More Kenyans shop, find locations and conduct business on-line. Enock Kiprono of Infoken Solutions, a tech firm, says advancement in the ICT has led fraudsters to rethink strategies. “We used to hear cases of criminals using mobile phones to extort and trick their victims but technology is changing and smart criminals are evolving with it,” he said. He cites the example of SIM card registration that has created a database of sorts that makes detection and tracking of fraudsters a possibility. Increased scrutiny by banks in line with the laws like those on money laundering have made financial institutions more vigilant on monitoring clients. However, as scrutiny is mounted, fraudsters are also walking in tandem. “All you need to set up a website is the requisite fee which can be as low as Sh700, depending on the service provider and a domain name and you are good to go,” he says. Critics are raising the alarm that while conditions for setting up a web presence are made easy to boost communication, the flipside creates a fertile ground for the unscrupulous to run roughshod, with their eyes on the goal of making quick bucks. “What happens is that some one buys a domain name that is similar to his target company for example a prominent bank. Then the person sets up a website that mirrors the actual website of his target website,” says Mr Kiprono. For example, the website could be ending in .org and the fake in.com. A search query in Bing or Google, will bring up both websites and there is a high chance of mistaking the fake for the real thing. Other differences in punctuation could be as slight as a comma or an additional forward slash and very few people recognise that. Since the website is cleverly designed as that of a reputable organisation, the victim will not doubt the content. “The websites could even have advertisements from genuine companies here in Kenya and overseas giving the impression that the website is genuine,” explains Mr Kiprono. Using these websites, fraudsters post details of lucrative opportunities like job vacancies and financial grants. The announcements are accompanied by contact details that lead to preset numbers that direct the caller to the fraudsters. After the user has parted with a significant amount of money, the website will promptly be shut down, leaving the victims counting losses. Some of the websites will have a log in prompt where visitors are asked to input their e-mail addresses, which can be used to access the users’ private information. To avoid falling victim, type entire URLs to the address bar instead of the lead word as this will filter out the real website. FILE | NATION New Makadara MP Gidion Kioko Mbuvi has been making headlines. The new MP for Makadara is fast becoming an urban legend with Parliament discussing the issue of integrity. On Wednesday, stories were circulating of people with some similarity to Mr Gidion Kioko Mbuvi, also known as Mike Sonko, some linked to crime. The 35-year-old MP, who often sports oversized casual shirts and expensive jewellery, has fired the imagination with his display of great but largely unexplained wealth. The MP reportedly owns five matatus, a double decker bus and an entertainment joint. Police sources told the Daily Nation that in August 2009, a senior CID officer was demoted after leaking a top secret crime report to a Buru Buru trader. The leak so infuriated the commissioner of police at the time that he ordered a senior detective to investigate. The businessman was arrested, questioned at Vigilance House and locked up. “I personally arrested a young man who owned matatus on the Buru Buru route after he was found with secret police documents,” an officer involved in the probe told the Nation. In 2009, an officer at Buru Buru and a civilian were arrested and charged with kidnapping a director of C & P Shoe Industries on Bunyala Road. The officer and civilian, who were driving a car belonging to a Buru Buru tycoon, allegedly accosted the businessman, bundled him into the vehicle and told him he was under arrest for murder. They drove to Kiambu, where it was alleged, they demanded Sh3 million ransom for his release. However, the Kiambu Flying Squad arrested the two. Police sources said a senior Vigilance House officer at the time intervened and had the case transferred to Nairobi CID. About the same time, Mr Mbuvi applied and obtained anticipatory bail from the Makadara Law Courts, fearing arrest. In 2000, a Gidion Kioko Mbuvi was remanded at Kamiti Maximum Security Prison for alleged forgery. The same year, a fraud case was opened against a person of the same name. Earlier, a Mr Mike Munga who had been arrested and held at Shimo La Tewa prison escaped. He later successfully appealed against the conviction and the State appears not to have pressed prison break charges. In Parliament, Prime Minister Raila Odinga clashed with Narc Kenya chairperson Martha Karua in a heated debate on the integrity of some MPs. Ms Karua had sought clarifications from Mr Odinga on the integrity of some ministers she claimed should be sacked because they had cases in court or were linked to corruption scandals. Africa Resource Group assisted Bishop Long’s vision of building a state-of-the-art 400 bed hospital to serve as a prototype for other cities throughout the country. Tragically, a disproportionately high percentage of mothers and children die in childbirth. Bishop Long’s vision is to build a state-of-the-art 400 bed hospital to serve as a prototype for other cities throughout the country. The hospital in Nakuru (Kenya’s 3rd largest city) was renamed Bishop Eddie Long Bondeni Maternity and Children’s Hospital. Tragically, a disproportionately high percentage of mothers and children die in childbirth. Bishop Long’s vision was to build a state-of-the-art 400 bed hospital to serve as a prototype for other cities throughout the country. With Bishop Long’s assistance and New Birth catching the vision, much of the existing hospital has been renovated with safer births, heightened sanitation with the Department of Health and Medical Services allocating substantial resources. This $6M hospital was be completed in 6-8 years. 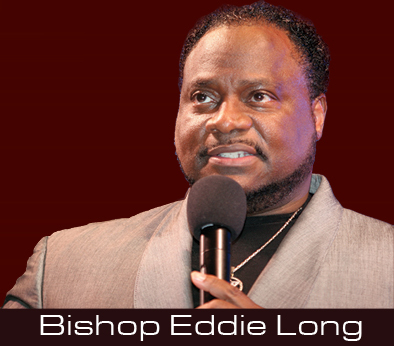 In 2004 Bishop Long donated $100,000 to build a Children’s Home with Deliverance Church. Bishop Long underwrites scholarships to Kenyan students who wish to study at Beulah Heights Bible College in Atlanta, GA.
Bishop Long has contributed large amounts of corn in famine stricken areas of Kenya. Bishop Long has hosted Kenyan business professional people who visited US and connected them to their American counterparts. In 2003, Bishop Long was inducted as an African Elder with major ceremonial significance. President Daniel Aarp Moi, Kenya’s immediate former President hosted Bishop Long at his residence for a breakfast meeting and appointed him as one of the International Board Members of the Moi Africa Institute and Foundation. The purpose of this world-class group comprises of international persons of influence to address issues of peace, negotiate international conflict, poverty, economical development and the HIV/AIDS epidemic. FAIRFAX COUNTY, Va. — A priest with ties to the Ohio Valley pleaded guilty Tuesday to sexually battering a young girl in Virginia. Prosecutors said the Rev. Felix Owino was drinking the night he inappropriately touched an 11-year-old girl. “I did what they said,” Owino told a Fairfax County, Va., judge in a soft-spoken voice. If the judge approves the plea agreement, Owino won’t serve more than five years in prison. Officials said Owino also faces deportation back to his home country of Kenya. Owino most recently served as an associate pastor at St. Paul’s parish in Weirton. Until June, he was also a faculty member in the philosophy department of Wheeling Jesuit University. He was charged with one count of aggravated sexual battery stemming from a July 7 incident involving a child in Herndon, Va. Police said they were called to a home after a family reported Owino — their house guest and longtime friend — inappropriately touched a girl in their home. The child told her mother, and the mother kicked Owino out of the house and ordered him to stay on the steps until police arrived. Prosecutors said Owino admitted he touched the girl and told police he’d not done anything like that before. Prosecutors said the victim’s family accepted the plea deal, and victims’ advocates said families usually do that to protect their child from going to court. Although Owino made a plea deal with prosecutors for a maximum of 5 years, the judge made it clear the decision is ultimately up to him. He could reject the plea bargain out and give Owino the maximum sentence of 20 years. Owino could also be deported because he’s not an American citizen. Originally from Nairobi, Kenya, Owino was ordained in 1992 and is a member of the Religious Missionary Institute of the Apostles of Jesus, headquartered in Philadelphia. He joined the faculty of Wheeling Jesuit in the fall of 2008 and taught for two consecutive terms, most recently instructed an online class. Prior to that, he worked at Magdalen College in New Hampshire and before that at Alvernia College in Reading, Pa.
A sentencing hearing is scheduled to take place in December. Nairobi — A man committed suicide in Migori District after his wives thwarted his bid to take a third wife. The man’s wives teamed up and chased away the widow, whom their husband wanted to inherit. They engaged their husband, identified as Mr John Otieno, 44, in a heated argument at their home in Bondo Nyironge and demanded that the “new bride” leaves immediately. But witnesses said Mr Otieno was adamant, saying nothing would part them. “The co-wives then went to the local trading centre where their husband had rented a room for the woman and threw out her belongings,” said a neighbour, Mr Joram Onyango. But on getting news of the new development, Mr Otieno went to a nearby chemist where he bought a pesticide and drank it, on Tuesday. Police said his body was found on the roadside, foaming at the mouth. The body was moved to the local hospital mortuary. Earlier this month, an inheritor, Mr Silvanus Owuor Lwamba, killed his wife and her two children in the same district. However, he was lynched by an angry mob. Villagers in Magoto caught up with him as he tried to cross the border into Tanzania, stoned him to death and set his body ablaze. Another wife inheritor in Kisumu’s Nyalenda slums killed his wife and her three children. He has been charged in court. Many questions remain to be answered about the death in February of Ghanaian citizen Allan Koomson. He was arrested by police in December 2009 for being an illegal immigrant in the Netherlands and ended up in hospital. Although the Dutch authorities are refusing to go public on the cause of death, his family was offered damages. The cash, however, has never been paid. News of his case has only just surfaced following an article in The Chronicle, a Ghanaian newspaper. Mr Koomson’s body has now been buried in Ghana but his family are still determined to find out what happened to him. They are calling on the Ghanaian government to help get the Dutch authorities to release the autopsy report. Ghanaian lawyer John Opoku says as well as the cause of death, the family want to know why they were offered damages by the Dutch authorities and why the amount was never discussed. The Dutch foreign ministry confirms that a damages payment was offered because errors were made in communicating with the family in Ghana. The ministry declines to give further details, citing privacy considerations. Mr Koomson had been living in the Netherlands for a decade when he was arrested on 9 December 2009 in Amsterdam for working without a permit. On 14 February, he phoned his sister, Cecilia Ankrah, in Leeds in Great Britain, to tell her of his detention and that he was going to be deported back to Ghana. One week later, she was informed that he was on life support in a Dutch hospital. The message that he had died followed the next day. In March, the Dutch authorities were preparing to transport Mr Koomson’s body to Ghana. Ms Ankrah was not granted a visa to travel from the UK to the Netherlands, making it impossible for her to see the autopsy report covering her brother’s death. It also meant she was unable to arrange for his personal effects to be sent on to Ghana. In April, the Dutch embassy in Accra made contact with Mr Koopson’s 80-year-old mother. She was told a representative of the Dutch government would be sent to Ghana to apologise and offer damages. She was phoned on 17 May and told to come to Accra the next morning to receive the money. If she failed to turn up for the appointment, the damages would not be paid. Her daughters explained that such a journey at short notice was too difficult for their mother. They asked the Dutch representative to come instead to Mrs Koomson’s home in eastern Ghana. 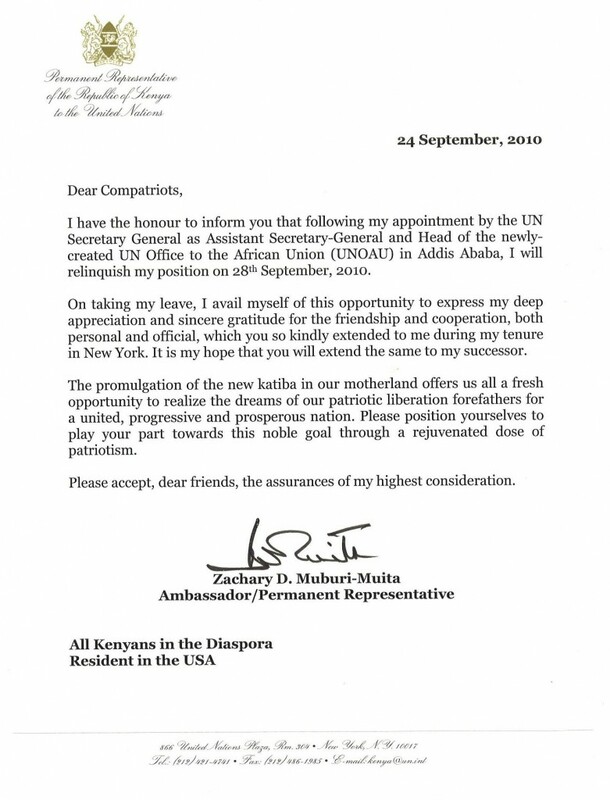 The representative, named as Mr De Koning by the Ghanaian sources, agreed to phone at a later date to make an appointment. That was the last that they heard of him. Two weeks ago, 29-year-old asylum seeker Franklin Othieno from Kenya died in the detention centre at Amsterdam’s Schiphol Airport. The postmortem says he died of natural causes but his family want an independent autopsy to be performed before the body is returned to Kenya. Bertha Puentes Acosta, a 74-year-old woman from Colombia, died after she was arrested for being in the Netherlands illegally. She died two weeks ago at the Ter Apel transit centre. She had been living on Dutch streets for the past two decades, earning cash as a street musician and flamenco dancer. Eduard Nazarski of the Dutch branch of Amnesty International questions whether the detention of such an old woman can be described as decent government policy. Lydiah Munene treats every day as a gift. A year after an attack that killed her friend and left her at death’s door, the Christchurch nurse is smiling and thankful she is still alive to be a mother to her two sons, Michael, 14, and James, 9. She can even forgive the person who took her friend’s life and nearly her own. “I don’t think about the past. I’m just thinking about my kids. It’s a gift to be alive,” she told the Herald in her first media interview since the attack. Ms Munene, 35, was found with critical head injuries in her Christchurch flat alongside the slain body of friend Stephen Mwangi Maina, 38, in September last year. Police say a weapon was used, but will not disclose what it was. She was taken to Christchurch Hospital’s intensive care unit and placed in an induced coma. Part of Ms Munene’s skull had to be removed to relieve pressure on her swollen brain, and she now has a titanium plate in her head. She had to re-learn the English language which she lost after the trauma to her brain. Ms Munene’s estranged husband, Samuel Ngumo Njuguna, is believed to have travelled to his homeland of Kenya a day after the attack. He is being sought by police in relation to the attack, but police are unable to comment on progress in finding him. Ironically, Ms Munene had started work as a nurse at Christchurch Hospital not long before she was rushed there for surgery following the attack. Those caring for her and visiting friends would not tell her what had caused her injuries. She remembers questioning a nursing student taking her to rehabilitation. “And I asked her ‘why am I in a wheelchair? Where is my uniform? I work here’. That was the first time [I remember].” After she was told what had happened to her and Mr Maina, Ms Munene went to church and prayed “seriously”. Ms Munene said she had not known Mr Maina for long, but considered him a friend and “good person” who was in the wrong place at the wrong time. She is planning to join an induction programme for new nurses in February.